April is a busy month in the Brewery and therefore the Restaurant has different open hours. 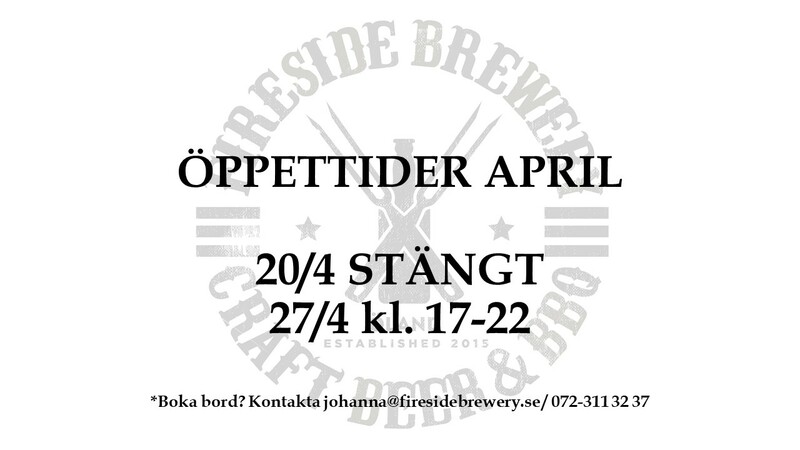 Please contact johanna@firesidebrewery.se or 072-311 32 37 to book a table. On Friday, April 26th, we will be hosting a Brewery Tour and Beer Tasting at Fireside in collaboration with Ekerum Resort. Please click here to read more and book your spot. Visit Fireside for a guided tour in the Brewery. A knowledgeable brewer will provide you with information and insight about the brewery process and our Craft Beer. The tour ends with a Beer Tasting in the Brewpub where you get to sample an assortment of our current beers. House made snacks are also available. The tour and tasting lasts for 90 minutes. After the tour you will return to Ekerum for a 2-course dinner menu. On April 1st we will release our first Easter beer at Systembolaget. Easter Blaze 6% is a hoppy New England style IPA with tropical fruit flavor and moderate bitterness. It is brewed with Ölandsvete from Isgärde and the American hops Citra and Mosaic. It will be available at the local stores only on Öland and in Kalmar. On May 11th we will be hosting a festival called Drick Öland together with Kackelbryggeriet and Skedesmosse Gårdsbryggeri. 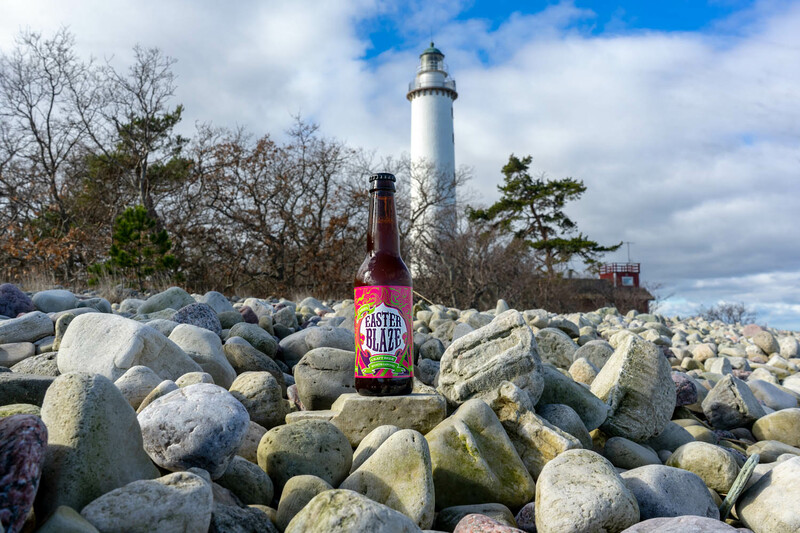 The festival highlights locally produced drinks from Öland. You will have the opportunity to sample different drinks as well as some locally produced snacks. 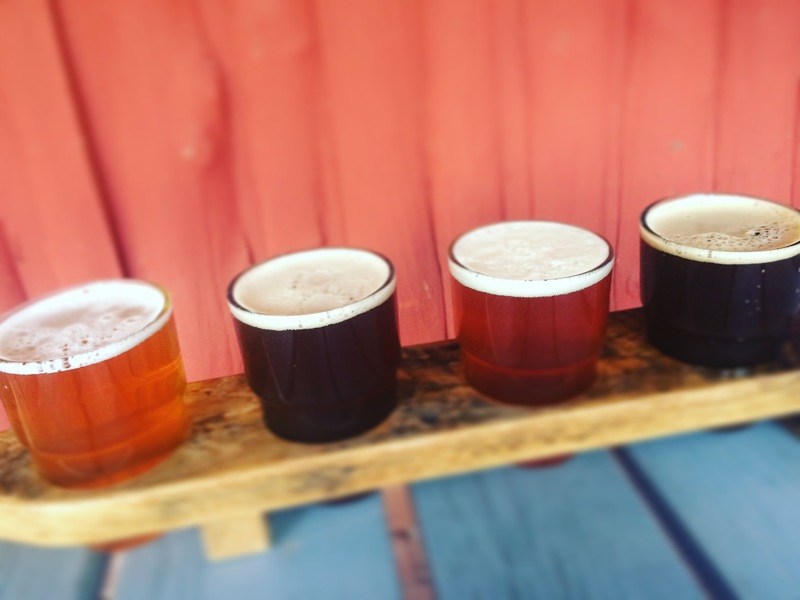 All four breweries on the island will have booths at the festival and you will also be able to sample wine, goat milk, cow milk and apple juice. The festival will be divided into two sessions: 13:00 – 17:00 and 18:00 – 22:00. You can choose to purchase tickets for either session and tokens will be available for sale. The entrance fee includes an exclusive Drick Öland glass. The tokens are used to buy samples of alcoholic beverages. Cash or swish is used as payment for all other products. Fireside and Kackelstugan will have food for sale at the festival. There will also be live music by Papa Granpa during both sessions. Tickets are available for sale now at http://kackelstugan.com/kackelbryggeriet/drick-oland/. 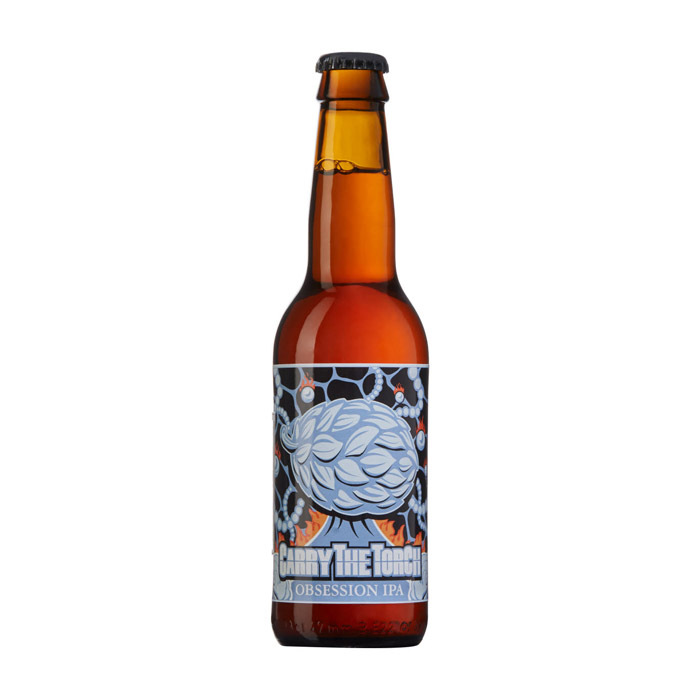 Tomorrow you can find Carry The Torch Obsession IPA 6,6% at Systembolaget. Available on Öland & in Kalmar and can be ordered to your local store. Hello! This website contains information on alcoholic beverages. You must be at least 20 years old to view this content. Are you*?